I retired my mum’s jam pan a couple of years ago, it had had a good life helping in the annual marmalade run. Frankly speaking it was tired, bluntly speaking it was knackered. But like an old workhorse it could be put out to pasture, left to live it’s life in good company and be well looked after. 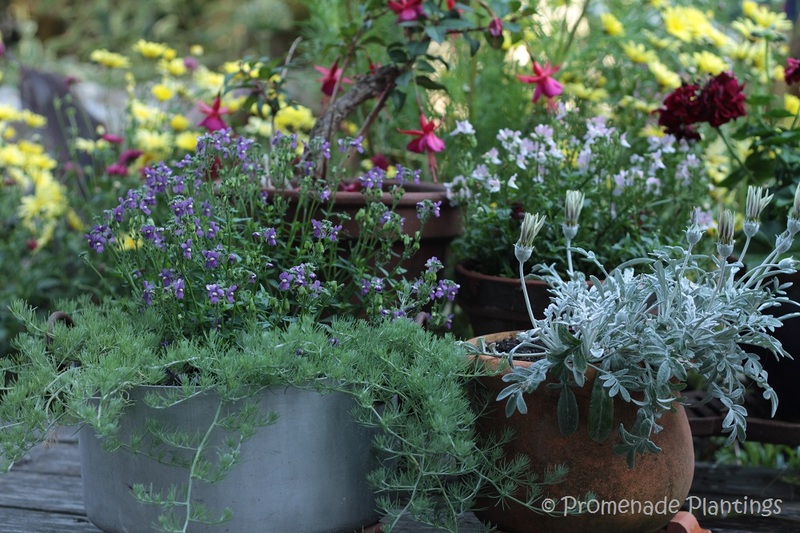 I decided it could spend it’s retirement in the garden as a retired, re-purposed, re-cylced re-used flower / herb pot. I haven”t made marmalade for a few years as I seem to miss the Seville Orange January window with spectacular regularity, probably something to do with my winter alpine ski-fix! In the absence of a jam pan and being on holiday in January I rely on shop bought or better still homemade marmalade bought at fairs and sales. There is always a pot of marmalade on the go on The Promenade, I like the dark bitter ones, with chunks of rind in; perfect for a topping on a slice of toasted sourdough. The combination of planning to make a marmalade cake for some time with an overnight stay at a friends where I took Nigel Slater’s Kitchen Diaries to bed with me, we have today’s post. I’ve made this pound cake a few times now and been asked for the recipe. It’s orangey, marmaladey, and cakey, easy to make and even easier to eat, what more do you need to know? Yes a new jam pan! I’ve been looking for a replacement for ages but either didn’t like what I saw or didn’t like the prices, that is until I spotted an old new to me jam pan. Bought in a second hand shop in the Old Town Hastings, cleaned with lemon juice and salt it’s ready and waiting for next year……. And no I won’t drill holes in the bottom of this beautiful copper pan, that would be criminal! that looks so delicious. With a good hot cup of tea, what could be better on a winter day? And your new pot is a treasure. I love copper pots! I’ve never heard of a jam pan but I love the copper look of it. I bet your own marmalade will be even tastier than the bought kind as will the resulting cake. I’ve always called them jam pans, I’m not sure anyone else does! Basically a large shallow pan was used for jam or marmalade making – and rarely for anything else – hence the name. Oh, awesome! Both the cake and that pan…I love pulling things like that out of charity and second-hand shops and giving them new life! That pan looks good enough to eat,too! My goodness that is sumptuous looking! I LOVE shining up old copper, and do it to my 37yo Revere ware (best wedding gifts received those pots and pans! Orange marmalade quite simply, rocks, and using it in your pound cake sounds unbelievable great…My oldest son is a huge pound cake fan and when he visits in April I’ll do the conversions (refresh my memory on caster sugar?) and give this recipe a shot! I love citrusy cakes and your marmalade cake sounds perfect to have with a cup of tea. It is perfect with tea Karen, the problem is it doesn’t last very long around here 🙂 always a nice problem! I love marmalade too; my mum used to make it as well. 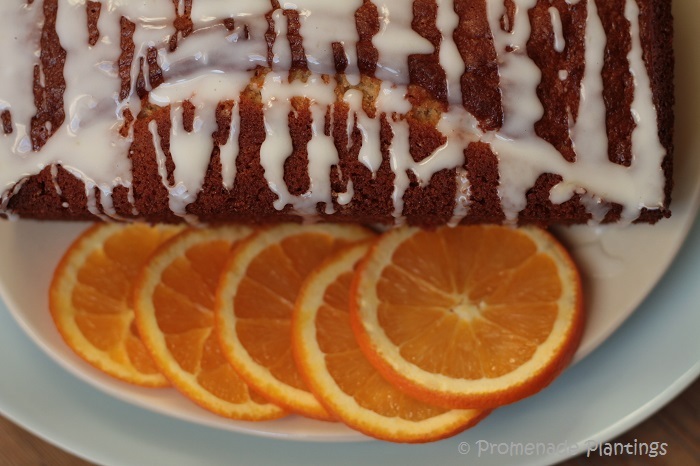 One of my favourite cakes is an orange cake so this one sounds perfect. Love that new pan! Lucky you. This sounds wonderful, Claire…thank you! And thank you Cindy for popping in! Ooh that looks good – and I have some Up the Mountain marmalade to use up! Ok, add the jam pan to the list of things you’ll need to frisk me for 😉 It’s gorgeous! Oh those Nigel Slater recipes! He draws us in with his voluptuous writing and enchanting recipes! I haven’t made the Marmalade Cake yet but as chance would have it I am making Lemon Marmalade today and a cake for by efforts sounds promising! Oooo, a lemon marmalade cake sounds fabulous – I love citrus, love lemons and yes love cake too – that would be a great twist on this recipe. Just love that jam pan! Its inviting me to make jam right away:) And thanks for putting me on to a great pound cake recipe with marmalade…its been bookmarked! The pound cake goes really fast around here – a sure sign of a popular cake! Mmmmmmmmmmmmmm 🙂 Hope you have a super week Kathryn! 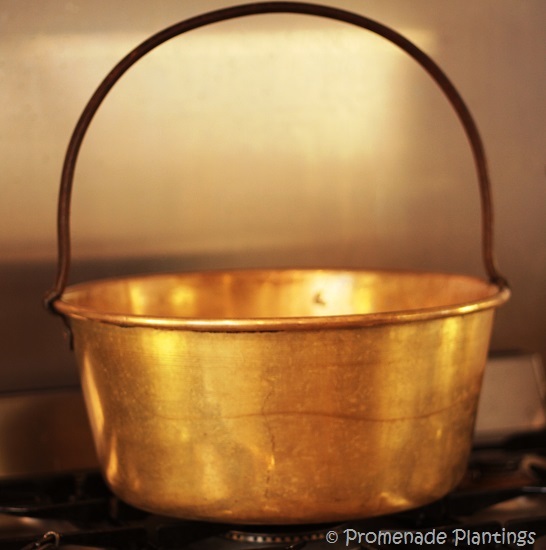 Is there a difference between marmalade made in a stainless pot and a copper pot? Would love a big slice of your citrusy cake with a cup of hot coffee. What a beautiful new old jam pan, Claire. And the cake sounds tasty, too. What a find, Claire! Gorgeous pan. Thanks Misky, hope you have a great week – we have sunshine today!!! Woooo hooooooo!! Claire, your cake looks lovely, but that pan is to die for. I am so jel jel. I could just about fly to Britain for the sole purpose of buying one. Love your flash photos. And I love this pan! Christine you have no idea what those words “we have ripe oranges on the tree …” do to me! Mind you we have a bright sunny day here today so happiness is spreading! Your new jam pan is just gorgeous, Claire. I would like the pan whether or not I ever made marmalade! 🙂 And I love that your repurposed the old one. It will probably greet you and you’ll smile each time you see it. This marmalade cake has my name all over it. I can’t wait to give this one a try. I really wish I had some right now, to be honest. I’ve a little late night craving. LOL! 🙂 Thanks Yummy – it was my first attempt! That jam pan looks gorgeous. It’s all about having a good eye at these second hand store to see what can be beautifully brought back to life. Oh my it looks simply decadent. Thanks so much for sharing your recipe. Claire my daughter gave me Nigel Slater’s Kitchen Diaries for my birthday a few weeks ago and I am in love with it as I am with all his books. Today I made a Chocolate Banana Bread adapted from his recipe in this lovely book. Soon to post, but now let me say I love your jam pan in all its new beauty as well as how you reused your Mother’s old pan. Both lovely. And your marmalade cake is a big “Wow”! I so enjoy stopping by your blog. It’s a lovely read isn’t it Teresa, I’ve copied a couple of recipes from it, so I’ll look forward to your interpretations of his recipes! Love your photo series! This weekend I made preserved lemons, candied orange slices, orange curd and Meyer lemon curd. I think I’m about done with citrus now! Perhaps marmalade next year–and the cake would certainly be motivation! Thank you Kim, the pan is a real treat, I just need to find somewhere for it to live the rest of the year – its too big for any of the cupboards ! Did I? LOL I had better get in the kitchen soon and make it! 🙂 I did wonder what was happening! I bought marmalade oranges just about 10 days ago and they keep in the fridge for a while, so next year you need to instruct a friend to buy some while you are away! I have made two batches already this year and have been experimenting with recipes. This next batch I’m making in half quantities, as last time the 1’5 kg of fruit with all the other ingredients took too long to come up to setting point! I asked in my local veggies shop a couple of weeks ago and it was a negative. But yes I should rope friends in next year ! It looks like it belongs in the garden. Happy Nesting.